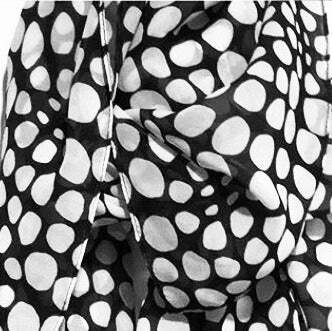 Elegant and fun spotty black and white pattern hand drawn by Susyrdesign and printed onto microfiber fabric. It is a unique designer accessory that have a very soft and light touch. You can use it as a neck scarf or head scarf as well. Its size is 140cm x 140cm.